We know, geography isn't everyone's forte. If you're not sure where Langdon is situated, you'd be wise to learn about its location before you rush off! Located in Eastern North Dakota, this town is within easy reach of some worthwhile areas like Loma, which is 11 miles (18 kilometers) away. Forget the star attractions — it's the locals that really make a place tick. In this part of Eastern North Dakota, you'll find 2,000 of them. With Travelocity, it's so simple to plan a trip to Langdon and save. All you have to do is buy an accommodation and flight package. And best of all, with no less than 400 airline partners and 665,000 properties, it won't be too hard to find exactly what you want. From flights and accommodations to activities and car rentals, you've got the added security of 24/7 personal assistance with our Customer 1st Guarantee. Encountered a better deal elsewhere? We'll meet the price and give you back the difference^. If you want to adjust your vacation bookings for any reason at all, there will never be any penalties from our end. And so long as you get in quick, many accommodations don't charge fees either^. You'll have to book early if you want to stay close to Langdon. The Cobblestone Inn Langdon is the only listed property within a short commute of the center. Where do you fly into for Langdon? Slip on your headphones and watch a couple of in-flight flicks. In no time at all, you'll be hitting the runway at Winnipeg James Armstrong Richardson International Airport (YWG). It's 95 miles (153 kilometers) to the northeast from central Langdon. Can I rent a car in Langdon? Whether you're going to Langdon by yourself or with a bunch of friends, it's always better to have a set of wheels. Travelocity provides a variety of rental options, so select one now and start creating your road trip playlist today! We all know that an active and healthy lifestyle does a world of good for us, so why not get your heart rate up and have fun at Langdon Activity Center? Its many activities and facilities are designed to benefit both the mind and the body. Need some more options? Langdon City Park is a beautiful spot to hang out in if you're tired of roaming around town. Find a bench, plop yourself down and rest your weary bones. If you have seen the best of Langdon with time to spare, don't panic! Just 30 miles (48 kilometers) away is Cavalier, and there's no lack of activities on offer here. If you want to make a day of it, go to Icelandic State Park first. Next make your way to the Pembina County Historical Museum and Cavalier Swimming Pool. Manitou is another neighboring destination located just 35 miles (56 kilometers) away. This place offers the Manitou Golf Club, Manitou Opera House and Manitou and Community Arena. 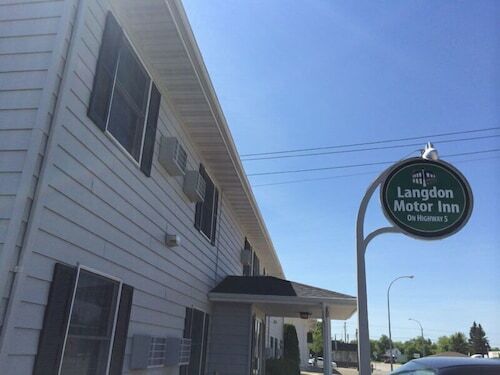 Situated in a rural location, this hotel is within a 15-minute walk of Langdon Chamber of Commerce and Langdon Activity Center. Langdon City Park is 1.1 mi (1.7 km) away. 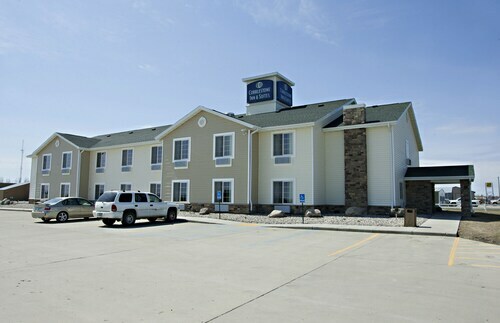 Situated in Langdon, this hotel is within a 10-minute walk of Langdon Chamber of Commerce and Langdon Activity Center. Langdon City Park is 0.6 mi (1 km) away.